Team building events frequently get a bad press. Often they are misconceived, poorly planned and fail to take employee dynamics into account. But it doesn’t have to be like that, and that’s where we come in; devising fun and innovative new concepts, that are inclusive to everyone. Fancy a game of inflatable Twister, a drumming workshop, a pamper day or an F1 driving experience? You got it. Or how about a rally car simulator, inflatable volleyball or a treasure hunt? Our gallery might inspire you. Our first step is to carefully consider your team. By finding out everything there is to know about them, we’ll be able to dream up fun and exciting activities that include and suit every member of staff. Are employees new to each other and simply need to get to know one another better? Do you have different departments that never mix and don’t understand each other’s values? Do you have an underperforming team that are working in silos, not wanting to share information with others? Whatever you need we can find a way to break down the barriers and get everyone talking. 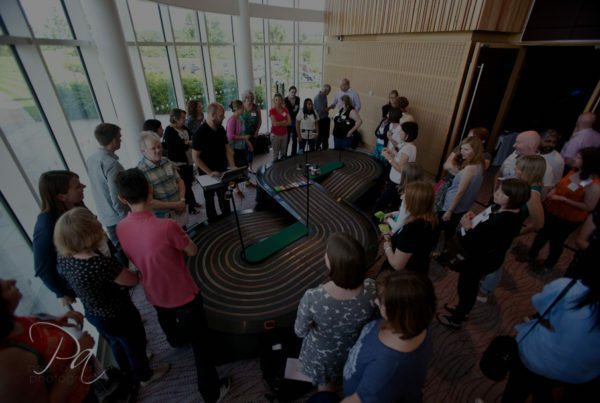 We’ll work alongside you to find out what you really want to achieve from your team building event. It might be improved communication, better problem solving skills, increased trust or more flexibility. You may simply want staff to bond with each other outside of the office environment. A fun factor is also a must. 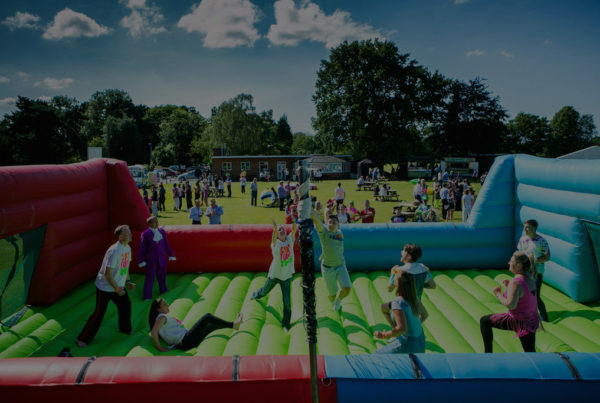 Make Events’ previous activities have included inflatable washing machine games, quad bike racing, table tennis tournaments, board games, team scalextric games and painting workshops. We’ll then take into account the size of the teams and what’s feasible at your venue, creating bespoke activities where possible. Our current favourite is using breakout rooms to test the skill and decision-making ability of mixed teams.